A brand new two bedroom apartment in one of London's finest developments, occupying an unrivalled position on the edge of Holland Park. A wonderfully spacious four bedroom apartment in a magnificent building in the heart of Whitehall. 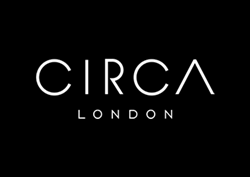 Circa London are excited to offer an array of luxury apartments in the Atlas Building. Completing in June/July, these two bedroom apartments can be offered fully furnished or unfurnished depending on your preference. There is a large open plan reception with fully fitted kitchen, spacious double bedrooms one of which is en-suite with fitted wardrobes, luxury, modern guest bathroom and a balcony for al fresco dining. Brand new three bedroom apartment set within Onyx apartments, a short walk from Kings Cross station. A delightful 11th floor West facing two bedroom apartment overlooking the beautiful landscaped gardens of this award winning, iconic development designed by Rogers, Stirk, Harbour + Partners, in a wonderful location next to Tate Modern on the South bank of the Thames.